Daytime Emmy Award winner Elisabeth Hasselbeck was a co-host on ABC’s The View for a decade before joining the morning lineup as co-host of Fox and Friends in 2013. The author of the New York Times bestseller The G-Free Diet, she is also the creator of NoGii, a line of all-natural gluten-free protein bars. She and her husband, Tim Hasselbeck, an ESPN NFL analyst and former NFL quarterback, have three children, Grace, Taylor, and Isaiah. I am so delighted to have Elisabeth on today! 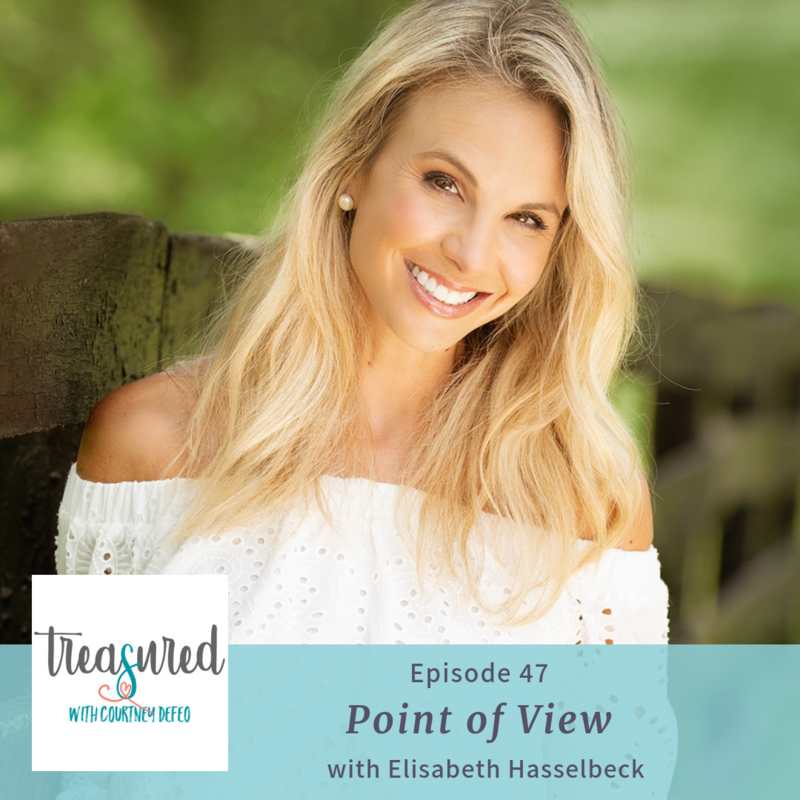 Her brand new book, Point of View, just launched last week. It’s not just the stories of her time on Survivor and The View and Fox News – but it’s a look at her faith. Her perspective that comes from above and not just from successes but also from hard times. I love this conversation because we talk about how to teach our daughters to love others event when they don’t see eye to eye. If you are listening to this on April 1 and you are in Dallas – join us tonight for her visit to the area! We’d love to have you!